OK, so this needs to come under the heading “the best things I ever ate”…despite the grammar challenges. 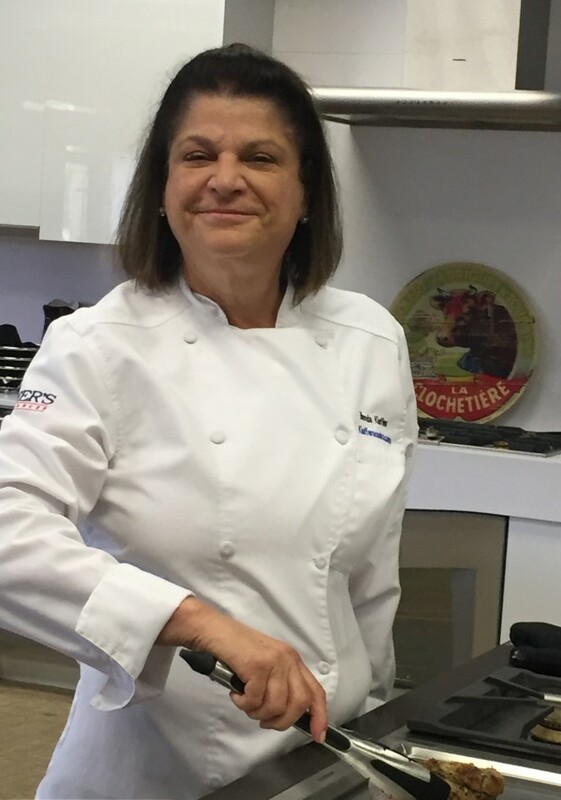 I am teaching a class on French cooking which needs to fit into a 2 ½ hour time frame, so complex French food like Coq Au Vin and Croquembouche (Google it) is out. So, I haul out my culinary school books to stimulate my imagination about French home cooked/rustic food and there sits a dish I have not made in years. I completely forgot how easy and delicious this is-I think I blocked it out because it is in no way low calorie or low fat, but sooooo worth it. 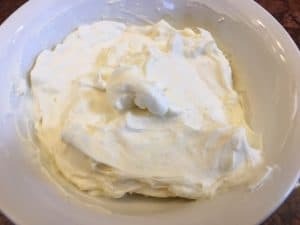 You can always substitute ricotta for the Fromage Blanc/cream cheese and that will bring the fat and calories down a bit, but with the use of Crème Fraiche as the second topping ingredient, why bother? Combine the years, water and sugar in a bowl and let sit until it is foamy-about 10 minutes. 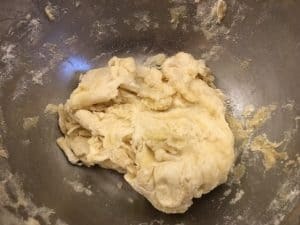 Stir in the flour until the dough comes together in a ball. 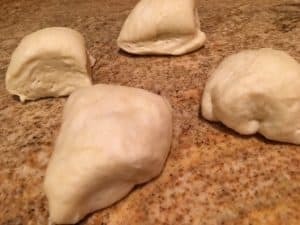 Knead the dough on a clean work surface(you may need a tiny bit of flour to keep the dough from sticking) until it is tight and firm-about 5 minutes. Put the dough back in the bowl and cover with saran wrap. Put it a warm place until double in size-about 1 hour. 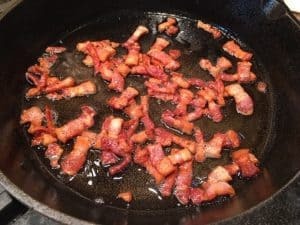 Place the bacon in a skillet with a few drops of olive oil. 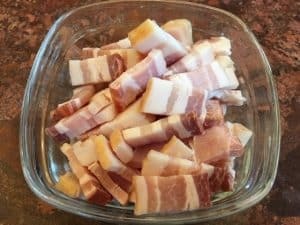 Cook until the bacon is brown and crispy. 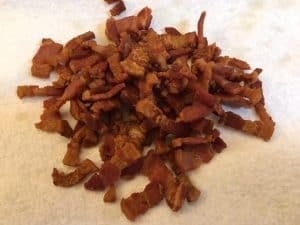 Scoop the bacon out of the pan onto a paper towel and set aside. 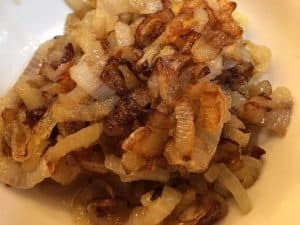 Add the onions and a couple of pinches of salt and cook slowly over medium heat until caramelized (soft, brown and sweet). 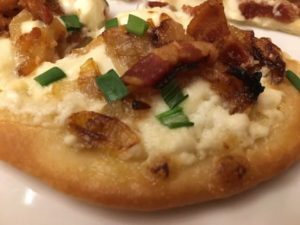 Combine the crème fraiche and the cream cheese (or Fromage Blanc). 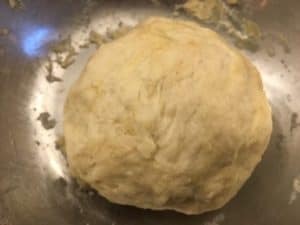 Divide the dough into 4 balls and roll out to about 1/8th-1/16” thick. 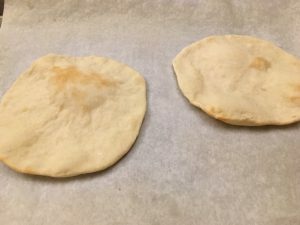 Place on baking sheet lined with parchment. 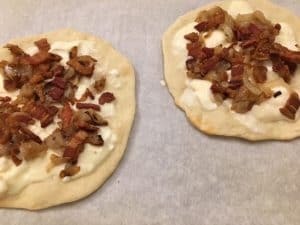 Take the tartes out of the oven and spread with the cheese mixture, layer with the caramelized onions and then the bacon. Return tartes to the oven and bake until the crust is crisp on the bottom and the toppings are bubbly (6-8 minutes). Look Ma! 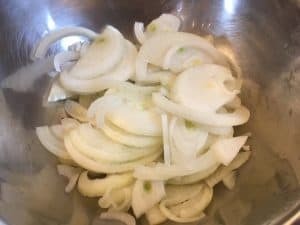 I made FRENCH food! And I made a yeast dough! Voila.